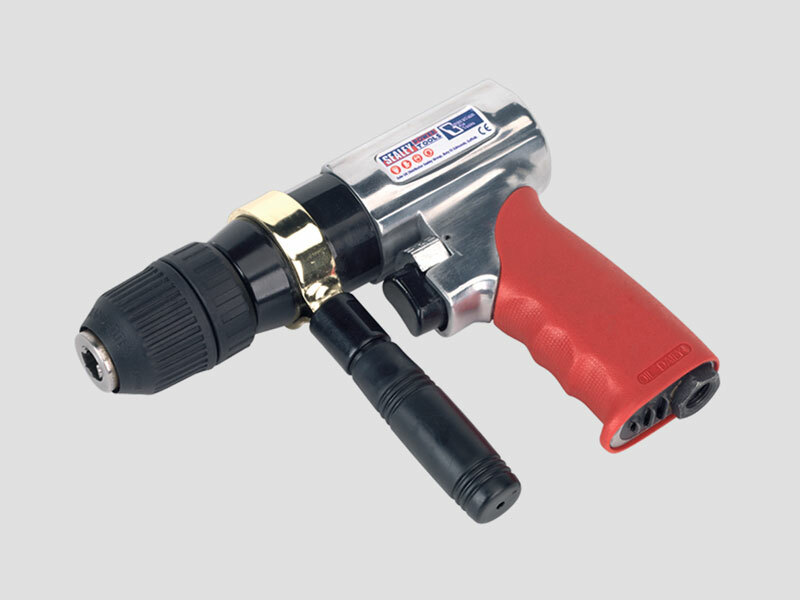 Fully polished finish with exhaust through handle base for reduced noise emission. Unit features encaged planetary gear drive assembly. Rotor runs on high quality ball bearings for long life and reliability. Fully reversible drive with fingertip control set above trigger. Fitted with Jacobs keyless chuck for fast bit changes. Contoured soft grip handle gives added comfort and control.